Great location - probably the best in town, with sea and harbour view from the balcony and only 50 metres from a lovely, safe beach. Several restaurants were only a short walk away.The apartment was a good size, regularly cleaned and there was plenty of bedding and towels. 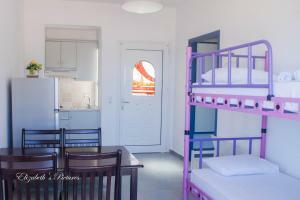 Excelent apartment for traveling with kids. The beach is a few meters from the accomodation, Beach is with perfect smooth sand, very long and sea is shallow. Perfect location also for walks, restaurants, shopping. The best Location. Breath taking view from balcony . 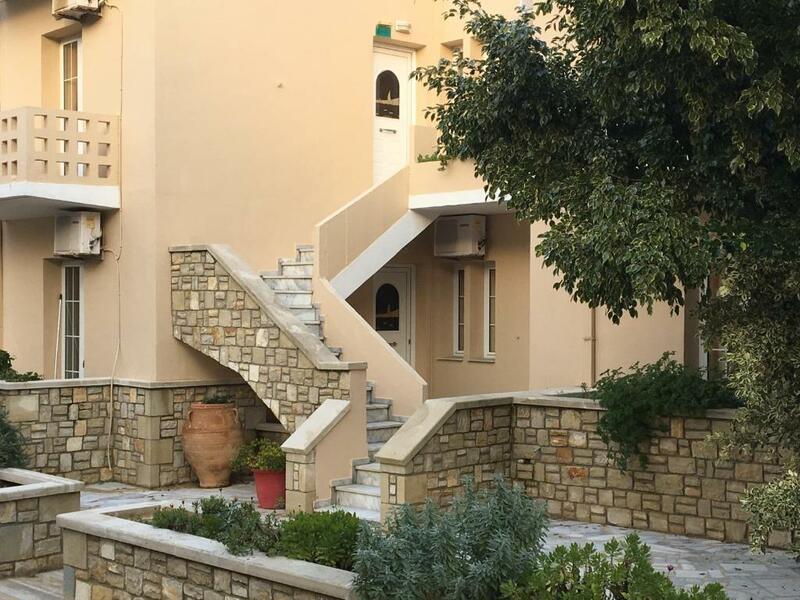 Best service you can get for that money.Parking is possible.The village is situated on one of the best beaches of the island from other side you are close to Chania and Retimno, Easy to cross to the south coast.I recommend this property. Not luxury but absolutely enough. 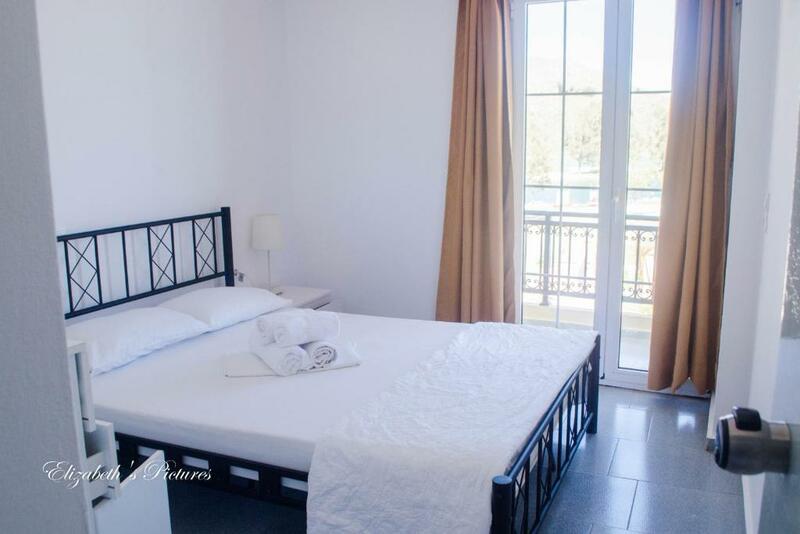 Spacious, clean, well appointed, with great balcony views of the harbour. 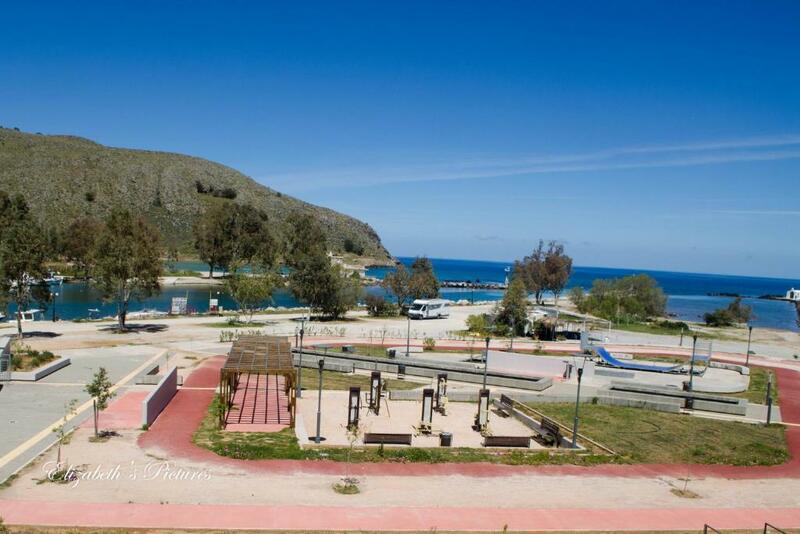 close to shops, restaurants and beach / sea. 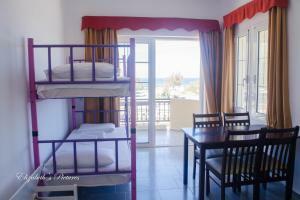 Spacious appartment with A/C bedroom plus living/dining room with bunk beds ( non A/C ) and small kitchen. We were on the top floor ( 2nd) which owing to the lack of a lift and importantly no safety rail would not be suitable for families with small children or a disabled person. Ground floor would be okay for the latter 2 categories. Cleaned daily. Good in room safe but not big enough for a laptop. We had 2 mobiles, binoculars, camera, I pods ,passports etc in comfortably though. L'emplacement est parfait pour visiter Georgioupolis!on aperçoit la chapelle du balcon. Le personnel est vraiment gentil et fait tout pour qu'on se sente à l'aise. Le restaurant est également très bon. On mange très bien !! Je recommande pour le petit déjeuner et également le dîner ! 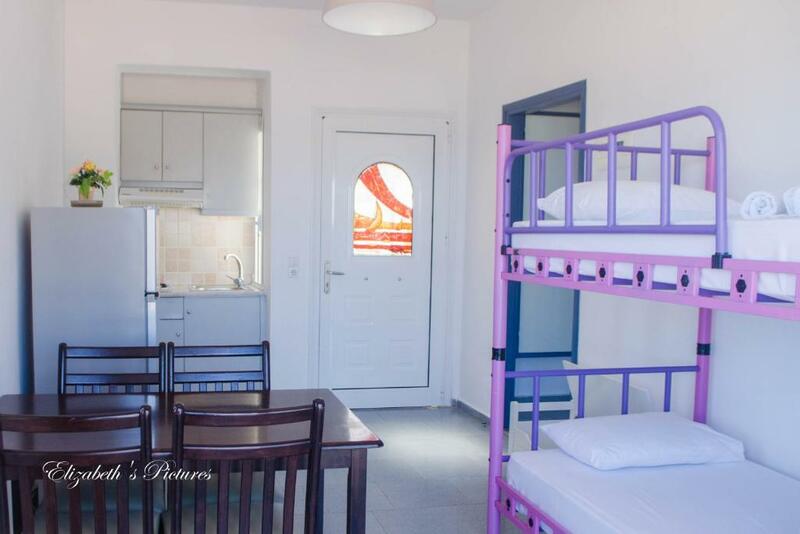 Lock in a great price for Sofia Apartments – rated 8 by recent guests! 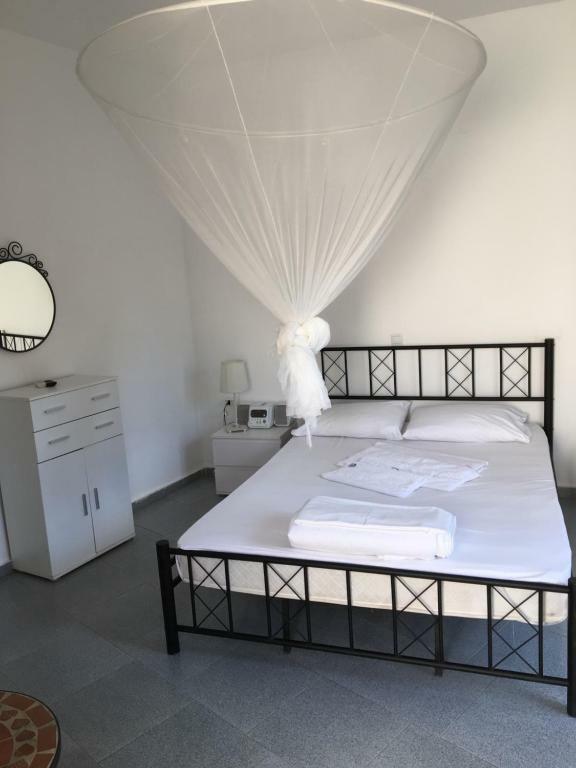 One of our top picks in Georgioupolis.Family-run Sofia Apartments in Georgioupoli is located just 30 feet from the beach. 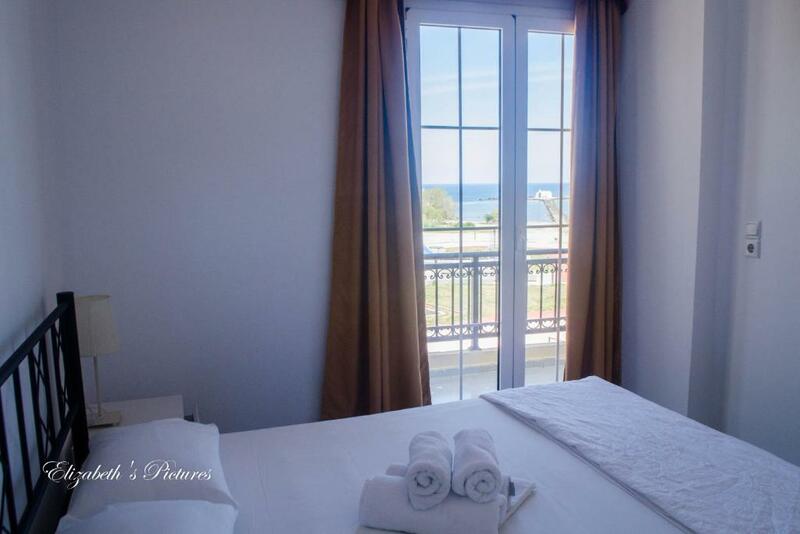 It offers apartments with views of the Aegen Sea and the harbor. Free Wi-Fi is available in public areas. The air-conditioned apartments open to a balcony and feature a seating area and a satellite TV. They include a kitchenette with kitchenware a fridge. They also have a bathroom with a shower. Various taverns, cafés and bars can be found within walking distance of Sofia Apartments. 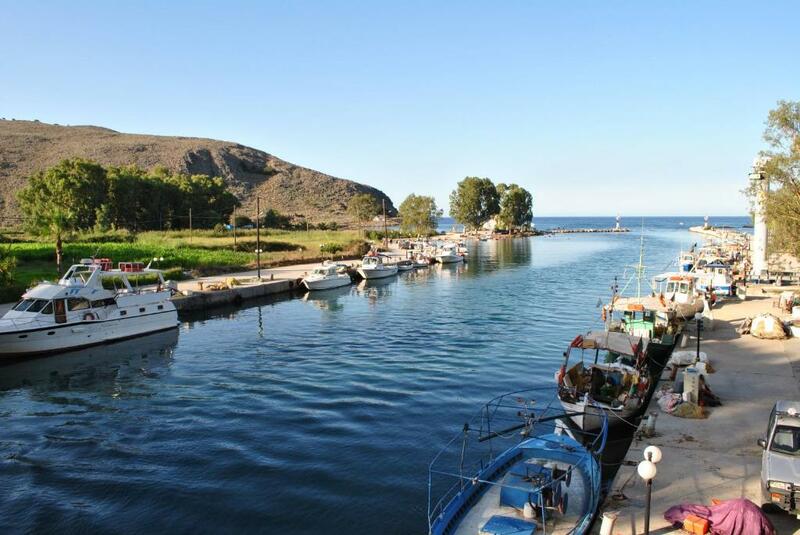 Rethymno Town is 14 mi away, while the International Airport of Chania lies at approximately 30 mi. The reception can help guests with car and bike rentals. Free private parking is possible on site. This air-conditioned apartment features a seating area and a satellite TV. It includes a kitchenette with a fridge and a bathroom with a shower. Some units are with a balcony and others are with a terrace. Very small kitchen area -no preparation surfaces or sink drainer - nowhere to put the kettle and toaster when in use. Only one hanging space for clothes located outside the bathroom. The main bedroom was a good size but the furniture needed upgrading and there was easily space for a wardrobe which should have been provided. The curtain around the shower basin was too short so the bathroom floor was flooded after every shower which was a nuisance and a hazard. 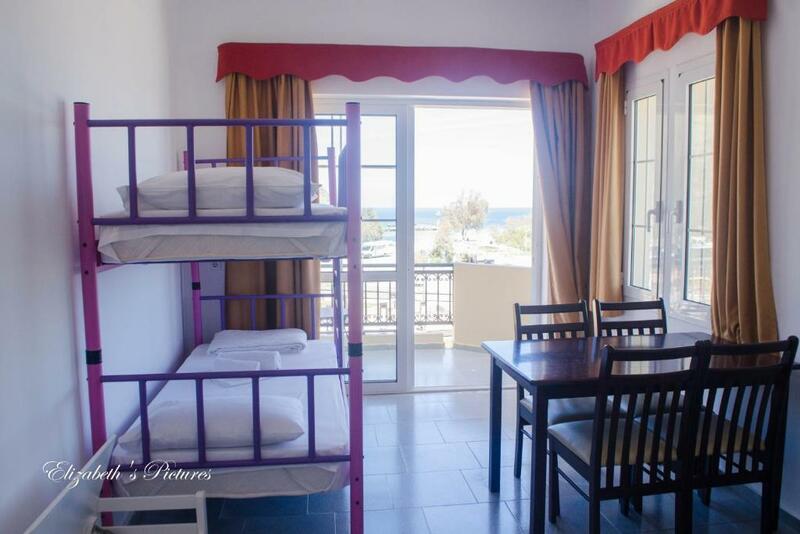 We wouldn't hesitate to return to these perfectly located apartments if they were redesigned and refurbished. the smell, the kitchen utensils, no kettle, lack of bath/sink plugs, hard mattresses, location of tv, poor safety, no microwave/oven, loose shower head, dangerous drawer units, invisible owner, no first aid kit, loose light switch, etc etc. great location, lazy, shoddy and potentially dangerous facilities. We both had accidents due entirely to their lack of care for their visitors and they couldn't care less. Booking reservation says "sea view, balcony, and Internet". The apartments were below the ground (basement). Instead of the sea, you look at the grass and cars and breath the gas. NO kettle, NO table to have a meal for 3 people, NO washing liquid like Ferry, NO dishwashing sponge. Internet only outside or near the outdoor. The apartment that was shown to us had a table and a separate room (40m2). It was underground and had an awful smell of mustiness, dampness (maybe canalization). It had only one small window on the kitchen for 40m2 one-bedroom apartment. Imagine, no windows, no ventilation, and terrible smell. This separate room had no windows and it seemed to be a sauna before. We asked for another apartment, they found only one available which was also underground next to the first apartment. The apartment is smaller (~15m2), no table, no Internet inside, one big bed and 2 small beds, no free space. But the smell was better and again not many windows, we decided to stay, we had not much choice. We dried your clothes on the street. We had a 30cm coffee table on the street, there were a lot of ants creeping on us. When a garbage truck took a trash early in the morning, all the gases came into our apartment, I had to close the only one window. The floor was dirty but after the second night the service washed the floor and gave us fresh towels. Definitely, the owner should have said on Booking that the apartment is underground with car view without a dinner table, and a balcony. Also, such apartments should be cheaper than apartments in the first or second room. DEAR TOURISTS, YOU WILL BE LUCKY IF YOU GET APARTMENTS ON THE FIRST OR THE SECOND FLOOR. PS. I set a minimum score because such apartments with awful smell should be rated less than 7.
near to the beach and the center. Could do with some hooks on the wall to hang bags and hats etc. We couldn't exchange emails with the owner before our arrival at the property. Older, not well maintained rooms, not very clean (see photos). We felt like we are not welcome. We came in the evening, had to search a parking place and then some taverna to get the keys. We got pure information in the evening. In the morning, maid came without knocking, when we had a breakfast...etc.